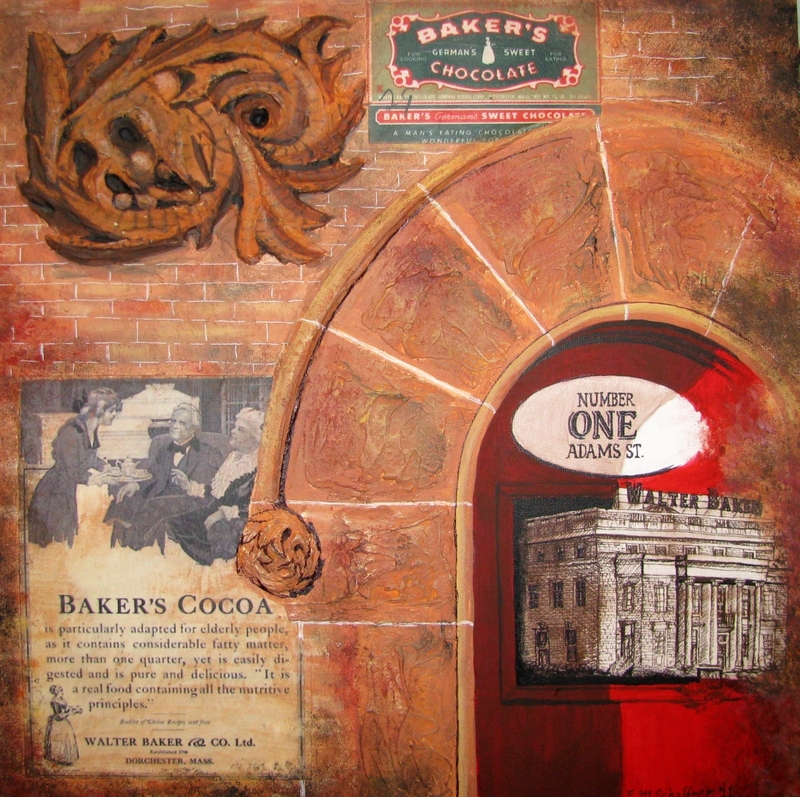 This 12" x 12" mixed media work captures some of the beautiful architectural details of the Baker Chocolate Factory, in particular, one of their buildings in the town of Milton. Collage, acrylic paint combine with modeling clay to recreate some of the molding found on the building. This work is created on a canvas panel block with oak stained wood sides.